Essentially it is Windows 8 lite, so it has a very familiar Windows 7 PC feel when used in desktop mode. Microsoft Office Home and Student 2013 RT is included for free (Beta version installed by default), so this means Word, Excel, PowerPoint and OneNote are all available to you right out of the box. The Touch Cover keyboard is responsive and feels really good. It detects your key strokes quite nicely. I was actually pretty impressed...It doesn't seem like it's all that great, but it feels as good as a "real" keyboard. USB port lets you can easily plug in a mouse, external hard drive or some other device if you want. It really feels like a full desktop experience when you have a mouse plugged in. Looks like a PC, but it's really not. For example, you cannot install Google Chrome's browser (at least until they make an app for Windows RT). Windows 8 RT is not stable yet; the keyboard stopped working after awhile I had to reboot to get it going again. Maybe future updates will fix these kind of bugs. There is definitely a learning curve...It's not the most intuitive tablet and keyboard device (sometimes have to go from touchscreen to keyboard). (Colleague pointed this one out) Strangely, enough you cannot install Minesweeper; it says that the tablet did not meet minimum PC requirements...Go figure. 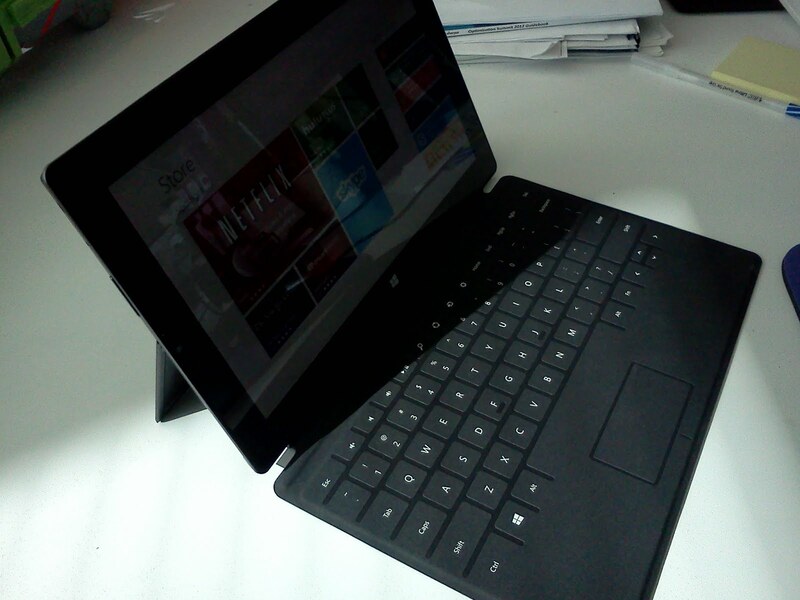 Compared to the iPad or Android tablets out there, it feels like the Surface was made for work related purposes, and not just for fun and games. It's lacking a little polish, but there is potential. If you need to use Microsoft Office on the go (and rather not use third party apps for the iOS or Android to open up those Word or Excel files), then I can see this tablet/laptop being useful. 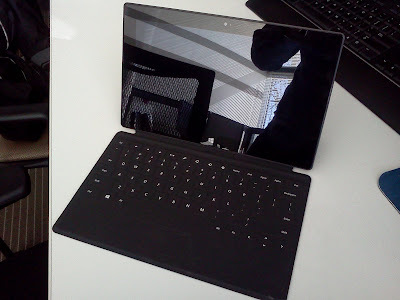 Otherwise, I'd probably wait for the Microsoft Surface Pro tablet and get the full version of Windows 8 in tablet form. Where can I see it in Montreal? I believe at the moment you can only order it online, or get a look at the Surface at a Microsoft retail store (there aren't any such stores in Montreal as far as I know...Anyone please feel free to correct me on this).